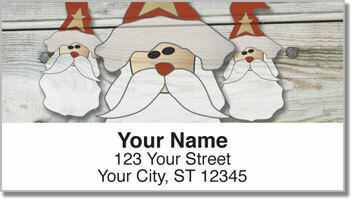 Whimsical Christmas characters on rustic backgrounds make a festive set of holiday return address labels. Use these heart-warming labels to add a little extra spirit to everyone on your Christmas card mailing list this season! From a silly Santa Claus to a choir of quaint country angels - the illustrations on this design will delight them all. 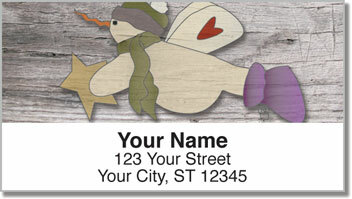 Country Christmas Address Labels from CheckAdvantage will also make the task of preparing all those envelopes extra easy! 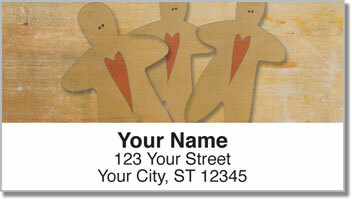 Now all you have to do is peel and stick your name and address. What a great time-saver during the busiest time of year! 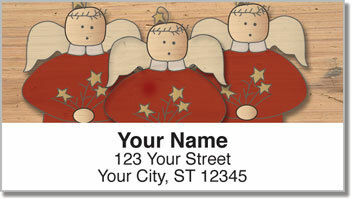 Get your own Country Christmas Address Labels right now! This holiday selection is also available in matching personal checks.